This page features my teaching ideas, philosophy and creative lesson plans. 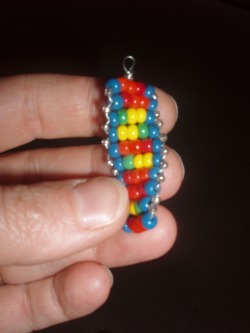 This is a DNA model made from beads and wire. 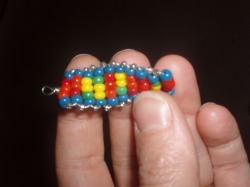 My ninth grade biology class made these during our unit on heredity and DNA. It was a very successful activity and students of all abilities seemed to enjoy making these pendants. For anyone wanting the instructions and lesson plans, I have provided them below.